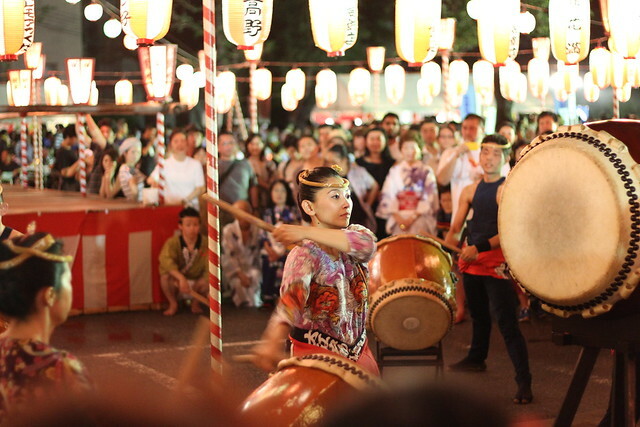 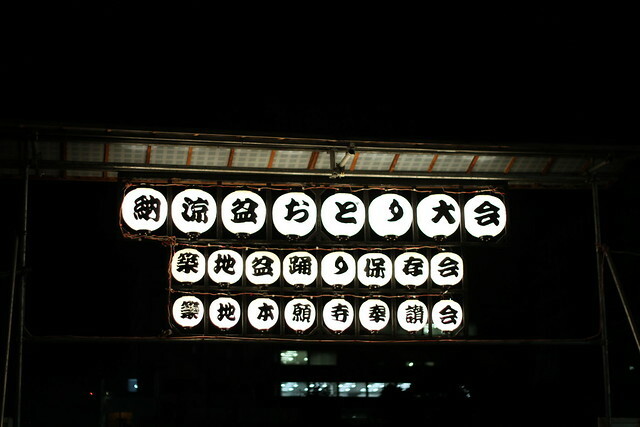 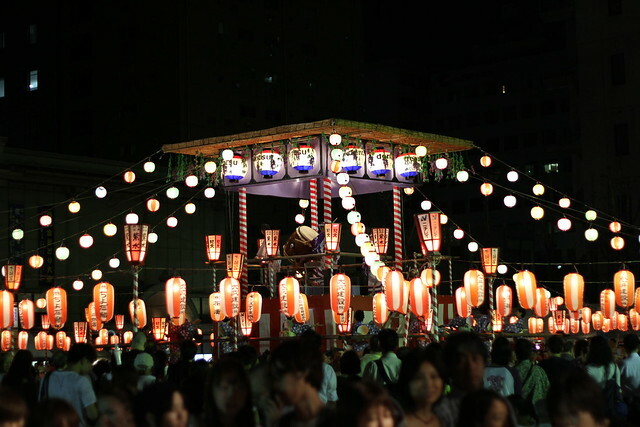 Awesome festival in Tsukiji, Tokyo. 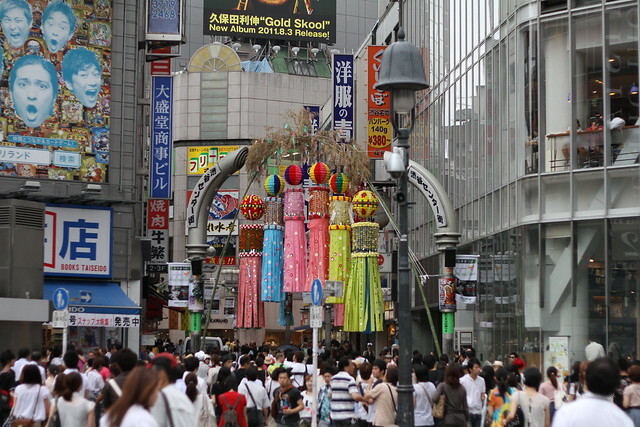 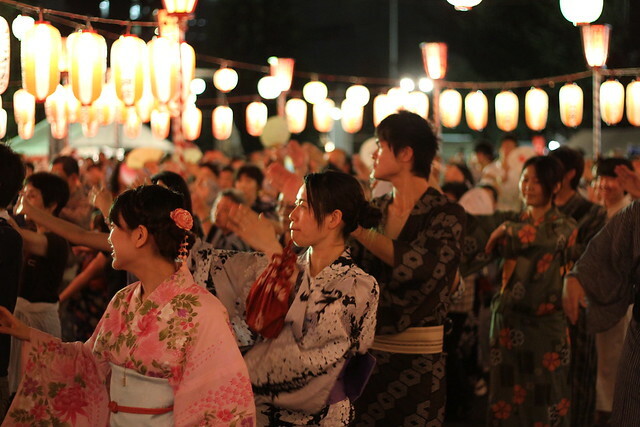 They were inviting everybody to dance and go back to traditional Japan! 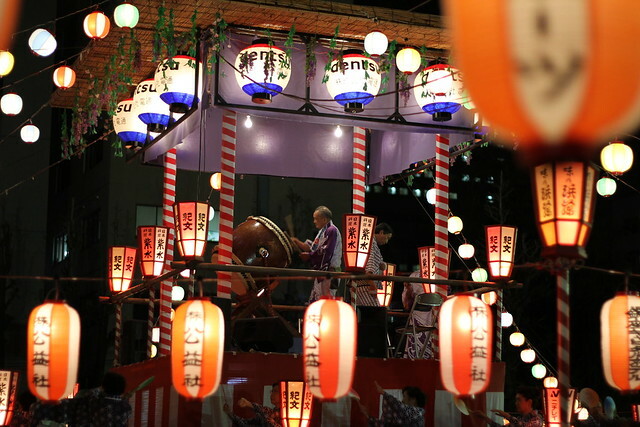 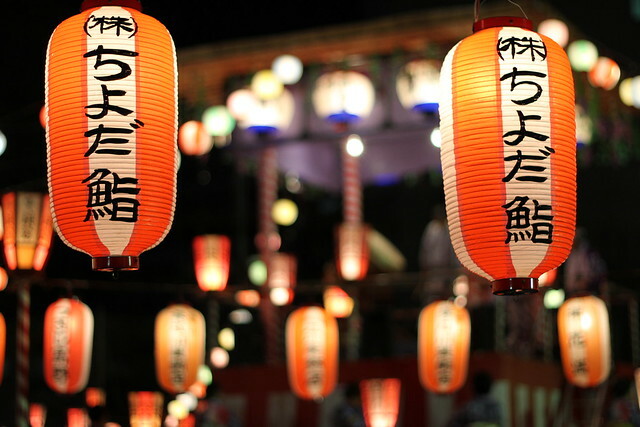 No Yukata required. 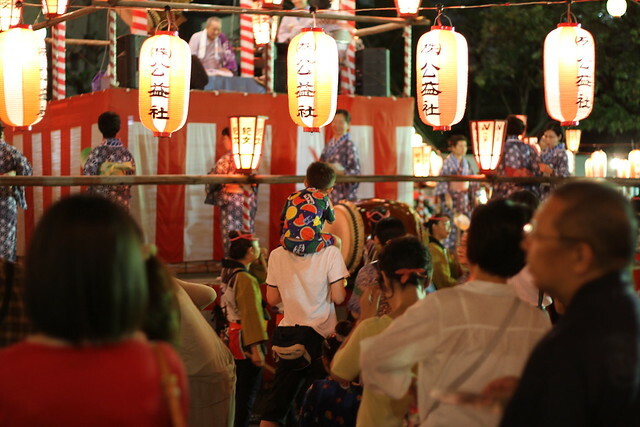 The obasans (older ladies) looked amazing doing the traditional dance, they knew all of them and performed stunningly. 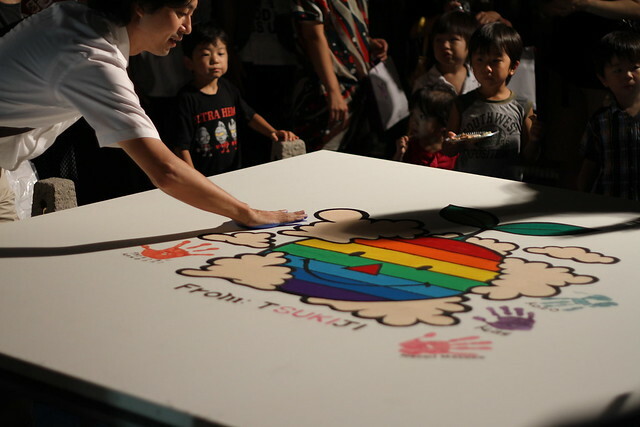 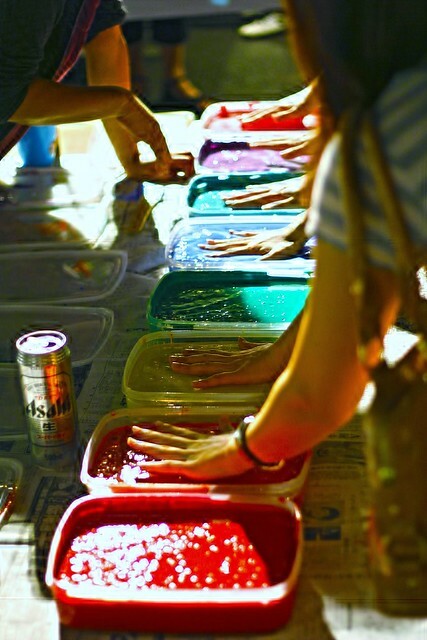 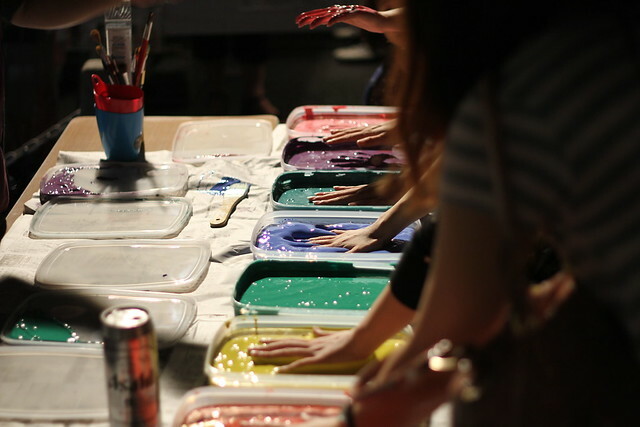 People dipping their hands in paint to support the affected areas from the recent natural disasters in Japan.